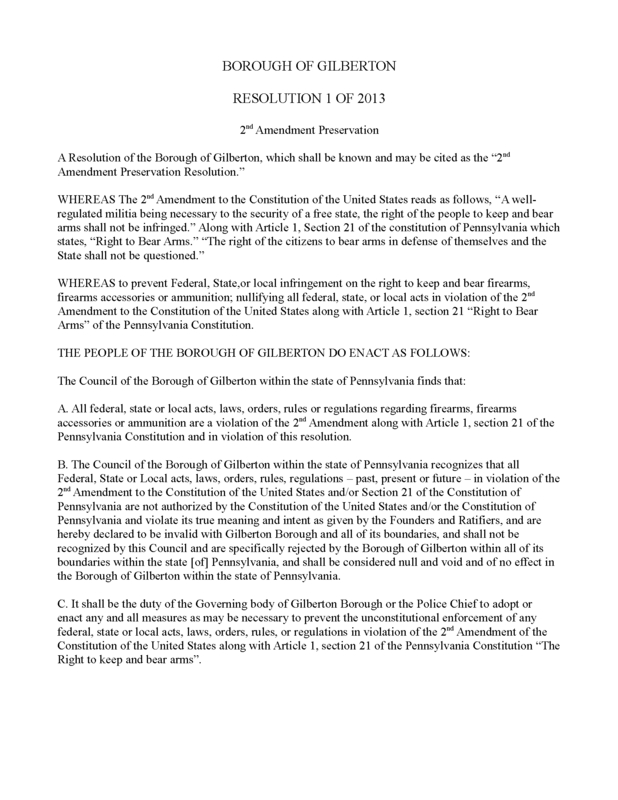 In what may prove to be an historic development, the Gilberton Borough Council Thursday night passed Police Chief Mark Kessler’s 2nd Amendment Preservation Resolution, thus nullifying within the boundaries of the Schuylkill County borough “all federal, state or local acts, laws, orders, rules, or regulations regarding firearms, firearms accessories or ammunition” not conforming to the US Constitution’s Second Amendment or to Article 1, Section 21 of the Constitution of the Commonwealth of Pennsylvania. Mayor Mary Lou Hannon endorsed the measure, which was approved unanimously by Council members Daniel Malloy, Eric Boxer, Lloyd George, Susan Schmerfeld, and Robert Wagner, upon which approval Council observers in the standing-room-only water treatment facility meeting place erupted with an extended and enthusiastic round of clapping. 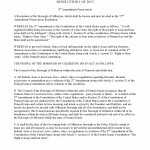 “Let freedom ring,” was the Mayor’s victorious response. Oathkeepers member Larry Liguori presented Chief Kessler with an Oathkeepers t-shirt, and Sunbury State Constable Ed Lee offered some congratulatory words, who himself has taken steps to nullify provisions of the 2012 National Defense Authorization Act (or, NDAA) as well as the USA PATRIOT Act and the 2012 extension of a number of its original provisions.